New Bore Up piston head. Made of Aluminium with stainless steel core. 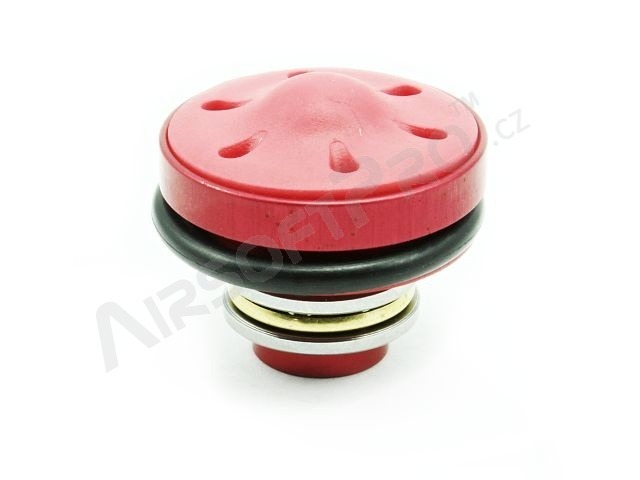 Rubber pad provides better air flow and silent shooting. Low weight provides good rate of fire and shooting range. Only 14,4g !!!. Six air channels at the front of the head conduct compressed air under the O-ring. This cause better sealing . 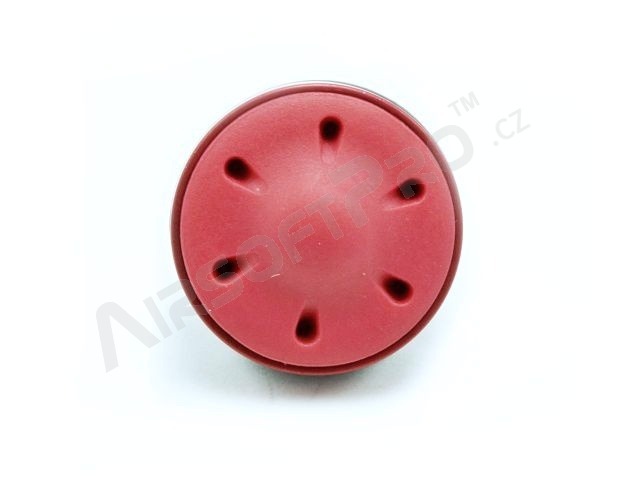 Head is made of the rubber and it is not suitable for standard flat cylinder heads. Optimal is to use funnel cylinder head, which is also in our offer. Both parts fits and provides the best choice for your air-seal upgrade. 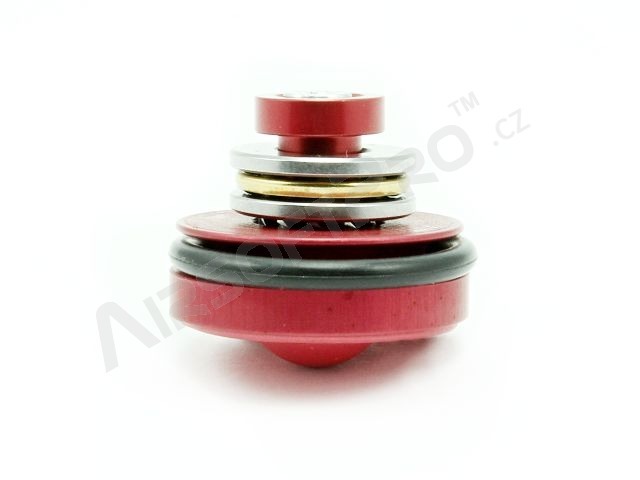 Thrust bearing provide smooth rotation of the compressed spring and aluminium washer provide great durability and cannot crack as a plastic one. 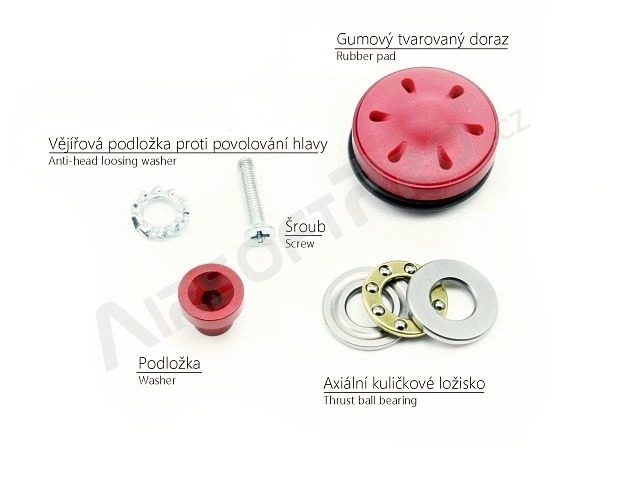 Package include piston head, O-ring, aluminium washer, screw ,thrust bearing and pair of washers which protect self-head loosing.